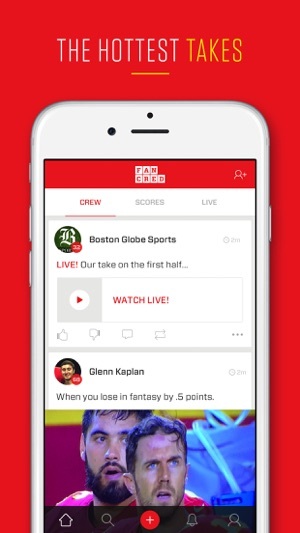 Fancred is the only sports app you’ll need for your iPhone. It is All Sports. All the Time. ON AIR INTERACTIVE LIVE BROADCAST: Our own hosted real time sports programming and entertainment broadcast channel. 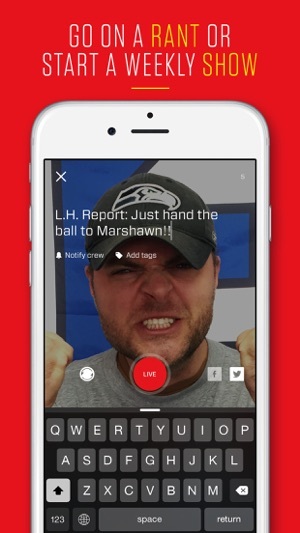 Fans can interact with on air talent through real time video and audio directly from the "Fan Line" in the app, with unlimited on demand replay. 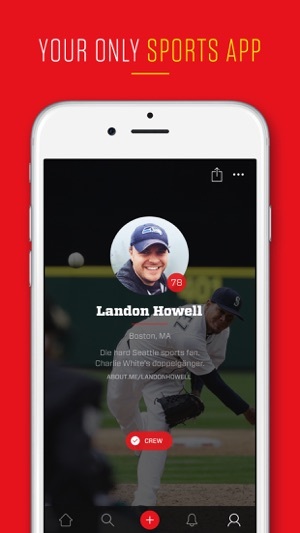 CUSTOMIZED FAN PROFILE: You get a personal profile that captures and organizes everything you do as a sports fan. AN AMAZING COMMUNITY: Connect with other fans from around the world. Post your opinions, gifs and memes, upload videos and photos. Some like the same teams as you, and some folks won’t. If you like someone, add them to your Crew. Hang out in the Team Feeds, or just watch live streams and broadcasts 24 hours a day. CHAT: Private message with your crew. Join public chat rooms for your teams. 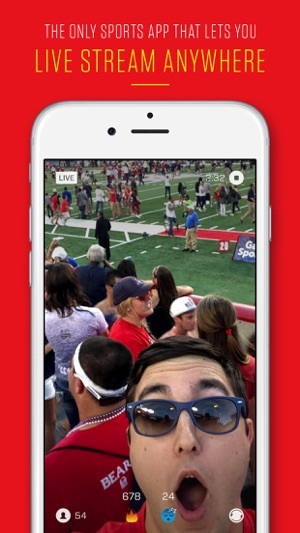 Fancred is a new way of experiencing your sports life. It is all sports, all the time. Don't want to be the person posting every thought about a game on Facebook or twitter? Want a place where people will care about your commentary? Want to get actual responses from people who care about sports? Want to get actual responses from celebrities you can tag? Love the app, the design etc. Only issue I have is when I try to add more teams/conferences/leagues to my feed I constantly get a ‘failed to connect. Try again later’ message. Once this issue is resolved, this app will be amazing. If you’re an SEC sports homer, this is the app & community for you. It is nonstop SEC love and hate for anything else, especially for any and all things west coast. If you’re a fan of any other team not in the SEC, look elsewhere. Very limited discussion and objectivity. I think the more appropriate name for it would be SEC-Cred or something like that. Might draw more of a crowd that fits in and tailored to the community’s prime interest.